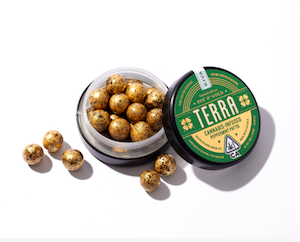 The minty bites are based on the company’s Terra Bites, which ranked as the top-selling chocolate edible in California last year, according to BDS Analytics. Kiva has emerged as a leader in the “quality edibles that don’t taste overwhelmingly of weed” game since 2010, when it noticed a gap in the market for just that. At the time edibles were largely unlabeled and untested, offering no guarantee in dosage, let alone flavor. 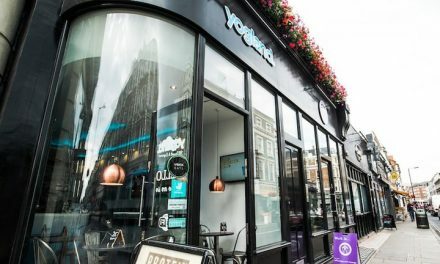 It set out to create a product that offered consistent potency and transparent THC dosing, working with master chocolatiers to ensure quality in ingredients and taste. Today, it offers over a dozen varieties of chocolate edibles as well as mints and gummies, and has become one of the better-known consumer cannabis brands, available at hundreds of dispensaries across California, Arizona, Nevada, Illinois, Michigan, and Hawaii. The Pot o’ Gold patties, however, are exclusive to Eaze.com, the on-demand delivery service available throughout California and Oregon. They’ll be available on the platform beginning Monday, March 11 and — as the nature of limited-edition product — once they’re gone, they’re gone. 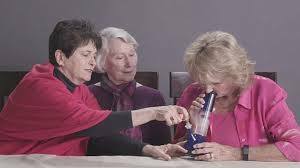 Fastest Growing Demographic For Smoking Pot – Yes Seniors !